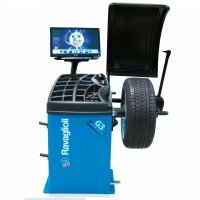 Get this great balancer at a low price! Only while supplies last!
" try before you buy ". 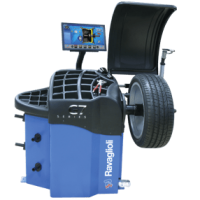 Our entry level tire balancer compares in size and weight to others mid range models. This heavyweight machine has a rigid chassis that helps to reduce operator effort. Four centering cones including "truck cone"
Rim Width 1.5" to 20"
Rim Diameter 10" to 24"
Advertised special price is for pick-up of balancer and is only offered when in stock. The balancer sits on a pallet that measures 28" x 41".